Just wish they had a couple more courses per level. I’ve never really like golf, but this game makes it really fun! It’s a good game for passing time. Only a beginner. I can see the money being a problem. I don’t want to pay and I have to use gold to play a match... not a fan. Fun for everybody! Golf fanatic or not! Pretty fun game when you have nothing to do. This game is something else, not in a good way. Awesome game and no ads! Only if you want extra coins!! I enjoy the realistic graphics and sound. As you advance to new tournaments, the holes become harder play but that’s the fun of it. Please create a solo mode to play the courses. Waiting for someone else to hit is excruciating. Games are short and quick allowing You to not sit in your phone for hours at a time. Very fun to play and progress. Would recommend to anyone who loves golf. I like to play. If you enjoy the game please rate it fairly. Stumbled across this game, and glad I did! This game can be completely irritating. Let your finger off to make a shot and watch the pointer keep moving. Watch it stop dead on and it not give you a perfect shot. Takes forever to build up your clubs unless your willing to spend money. Seems to let you do good to a point and then will not let you win till you loose enough money. Had the game before and deleted it for irritation and will be again. Very fun, I like the way you can play up to any level depending on your skills. I wish it wouldn’t bankrupt when you loose but that’s a part of the game. Great overall. A great game that brings hours of fun. this is an amazing game and I love it. Very fun and get to play with my friends and make a clan. I recommend it highly. Let me start by saying I love this game, but the new update has this game leaving me frustrated. Every time I open the app it immediately crashes, not my phone bc I tried a reset. This needs to be resolved immediately or change the name to Golf Crash. Great golf game. Courses are just the right amount of challenging!!! This game can be fun at times but my biggest issue is with the automatic bogies they give you if you lose connection during a tournament. Putting for eagle lose connection due to WiFi loss and out comes a bogey. And then comes the unbelievable losing streaks of 10-15 games then win streaks of the same. My abilities didn’t change overnight!!! The computer model or programming is annoying and this happens quite often. There are dinner golf games so save your time and money! Fun! For all who want to play. Fun game but frustrating as hell. I recently started back playing this game after a few years and it is very fun and addicting for sure however....there are a few things that drive me up the wall. 1. The physics are NOT consistent! On shootouts the physics seem to change and I’m not sure why. If it were a shot during the match and I used the exact same amount of power and put up a perfect shot it would land on the green, no problem. However during a shootout it either falls just short or goes careening off into the woods. I’ve lost countless matches due to these flawed physics. 2. I also wish they would slow more time to line up the shot as I’m moving the target once I go to lift my finger it jumps so I have to keep readjusting which often causes me to go off track in situations where I could have easily chipped for an eagle or birdie. If they could just fix these two things I would be so happy. I’ve been playing for years and I am consistently top 5 or 10 in my division when it ends so before anyone says it...it’s not just me not knowing how to play. 3. We need a practice feature and a driving range!! Give users a chance to get better at your game and they will play more. I hope someone reads this and takes my review seriously. This is perhaps the best golf game app in the iTunes Store. Beautiful scenery, great graphics and great competition. And I’m not gonna lie, sometimes when you lose, you get a little upset. But hey that’s golf, right??? This game is so fun and addictive! I highly recommend downloading this game! 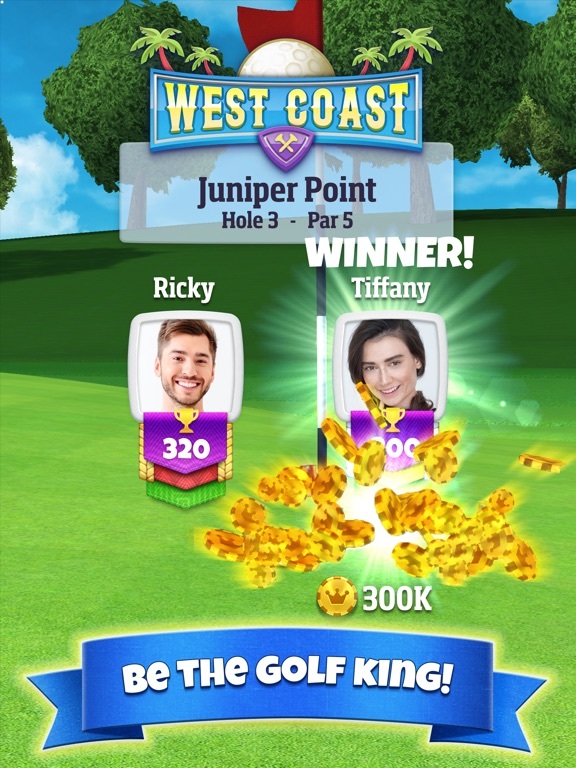 Let’s be honest: this is probably as good as it gets for the golf enthusiasts when it comes to mobile games, even though this has very little to do with real golf. It’s awesome! I can’t stop playing!! Fair gaming?! Ha! What a joke! Occasional crashes but a fun game. 1-1 matches are one round, with a closest to hole wins. 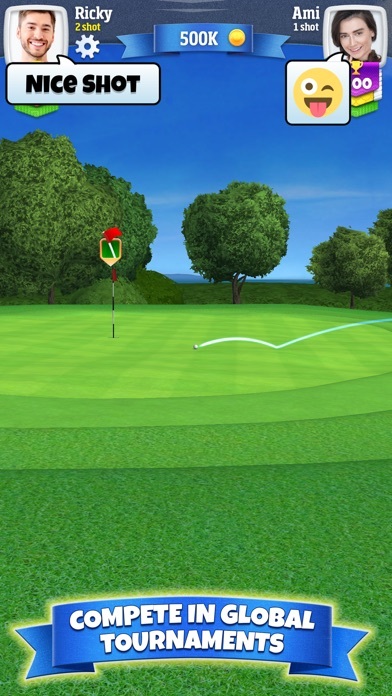 Short chipping game and putting is so easy, it makes it unrealistic. You work hard to get close to the whole - and anyone can make a 50 foot putt or chip in from 100 ft. Also, balls in the water are not penalties. Will stop playing because of it. This game is the most lop-sided game I’ve ever played. Same shots, same direction and placement, using same clubs, under same conditions and have two totally different distances from the pin in a shootout. You all are horrible! When will you ever fix this game?!?! I love this game it’s graphics are amazing and I love how realistic the playing field is. I do have one issue though. It started to turn off in the middle of a game occasionally it now has become more of a regular occurrence. Can anything be done about this. This is definitely the best golf app I have played and really enjoy it. Enjoy the variety of courses you can unlock and the tournaments are real fun. Only a few suggestions for improvement and this game would be 5 stars for sure. 1st: if there was a single player option where you could practice or play for cheaper, I would enjoy playing the harder courses without losing all my money. 2nd: if the matching system was better that would make it fun, playing against someone who has logged over a 1000 games when I have less than 100 is a big challenge, he has better clubs and more experience on these holes but since he is in my league I guess that is why he is matched? 3rd: the disadvantage of going second is huge. I understand seeing where the other persons shot goes and even the club they use but being able to see their aim and spin just makes it too easy for the second person. And in the shoot out round when it is a tie, it is just down right unfair for whoever goes first! Enjoyable for everyone, causally and competitively! Great way to kill some time! I started playing a couple of yrs ago and it was a blast. I deleted my account because problems started occurring and the GC staff did nothing. Recently I decided to give it another try and had been enjoying it....then the glitches...constant issues, I.e., black screen during games, skipping pointer when you are trying to hit the ball, significant wind speed differences between you and your opponent even when you were using the same club and ball....and many others, but I stayed with it. And the customer service was helpful when there were issues most of the time. Now I am playing a tournament, lost power resulting in lost internet. Automatically gives me a bogey when I was chipping for an eagle. That is a 3 stroke difference! When you play in tournaments, scores from previous round matter in tie-breakers. I have not asked for an eagle, just that they review what was happening and respond with what they might be able to do. The Q&A states that in a case like mine they will replace with a par when that happens if you ask. It goes on to say if there is evidence a better score was going to be made they can further adjust. It has been almost 48 hrs since this happened and the ‘wonderful” staff has not yet replied to me in any way. The tournament final is underway and I am stuck because they are ignoring me. Basically their inaction has turned something fun into an aggravation. Do yourself a favor and pick a different game. I’ve had this game for a long time and I’ve enjoyed it, however there are some key issues I have with it that could cause me and my friends to delete this game if they aren’t resolved. 1. Overall performance/flow: I really loved when they added tournaments and they’re definitely my favorite part of the game. 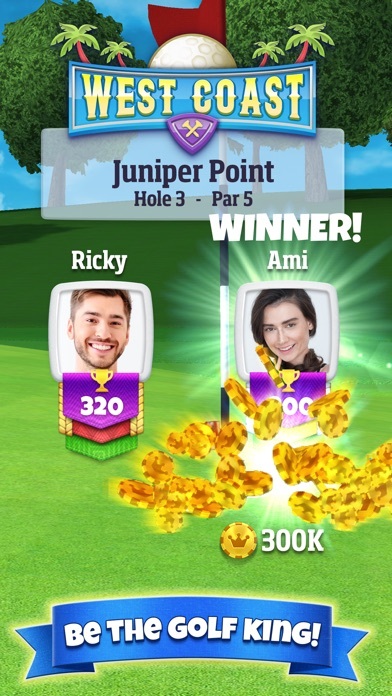 In this week’s tournament I was doing pretty well, then my app froze while loading a hole and caused me to disconnect and take a bogey, costing me at least two shots. Then on my last hole after trying to bounce back, my app lagged and caused me to slice it into the deep rough blocked out by a tree, which cost me at least another shot. 2. There’s no practice feature. I can get into a situation where I have crazy wind or a new club or anything else I’m unfamiliar with and I will have no practice with it. It would make a big difference in my excitement for this game if there was a driving range and/or chipping green feature where I could practice different shots before I take big risks with coins in the game 3. I really like the clan feature they recently added! My friends and I have enjoyed it. I would however like to be able to send some of my coins to members of my clan if they’re in need of some Overall I think this has potential to be a great game, but like I said there are some parts of this game that annoy me enough to consider never playing again. I hope these can be changed soon, because I’ve been getting fed up with it for awhile. I really enjoy this game a lot. It is fun lots of parts are realistic. Except when people hit out of bounds or hit it in the hazard. They don’t gain a stroke and it still creates an opportunity for them to actually win without the shootout. It happened to me and he hit out of bounds, I wasn’t able to hit the green on my second. He drove on to the green and made his put and I lost the round. AND HE HIT OUT OF BOUNDS. There should be a penalty stroke for that. That’s how golf is. And also, this game can’t give me an even matchup. I have no idea where your matchup system came from because I am rookie two, and I play people who have gold banners and blue banners consistently. Which is why I don’t stand a chance. Their clubs are such high level where they can hit the green in two with ease due to their very high upgraded clubs versus my low level clubs which allows me to not make it in too. The matchmaking is so unfair, and it makes me not want to play when I have to go up against people who have well over 3000 matches where I’ve only had maybe 300. The matchmaking needs to change and if I’m a rookie two it needs to match me with rookie 2 players. I could care less if the search takes longer because it will help make the game more fair and less stressful and annoying. Please fix your matchmaking! I cannot stand how unfair it is. Please I enjoy the game but not when it’s always against people who are three to four tiers ahead of me..... that isn’t FAIR. Very addictive game but a very frustrating one. First, the developers favor those who spend money. Now you could argue that all game developers do and most would agree but it’s just one of the ways they make it difficult to win. They pair you with players whose clubs and golf balls are leveled up way past yours so they hit further and are more accurate. I’ve had players hit over hazards with a good shot that I can’t cross with an overpowered perfect shot. Secondly the wind. You can use the rings of your shot target to adjust for wind, but you’ll get results occasionally that are wildly different from most other shots. Other times your opponent will have a tailwind and then on your turn you get a head wind that doubles in speed. Another issue is winning and losing streaks. I’ve had 7 or 8 game winning streaks on tour 7 and then can’t win a tour 6 game to save my life. Read other reviews, and lots of people talk about them. I know someone who had 50 million coins and went to 0. Nothing else I do in my life has those kind of up and down trends. It just isn’t natural. And Chris from Playdemic will tell you that they would never make you lose, but it seems as though they make it all but impossible to win. I enjoy playing and continue to slowly make progress upwards but at times you can’t help feel like an ant being burned with a magnifying glass by the fat kid with glasses. Last Update has been great! With 4000 games played and amassed clubs and a lot of real $$$ money spent, I can give you a real answer. And Chris or any other cookie cutting copy and paster playdemic team member response is not needed to contradict this statement. The programmers and developers and executives of this company are ALL laughing at us...why cause we, like all golf addicts, bought into a game that is controlled by puppeteers and we’re the puppets. Everything someone says about being “rigged” is right. But it’s not the matchmaking that’s rigged it’s the game itself. I’ve gotten dozens of responses from playdemic saying they don’t rig the physics. They do, I’ve played enough holes and logged enough recordings to have proof that it is. I’ve even duplicated they’re physics programming and am currently in the midst of forming a class action lawsuit against these crooks. By the way they aren’t going to be laughing much longer. You ever notice how when you BUY chests, (level 13 platinum for example) you get low level rare clubs consistently, but open a silver level 10 chest and you get 1xApocalypse card??? Yep just bought 12 level 13 platinum chests in a row. Nothing but level 4 epics or less. Rigged (no need to respond, playdemic) you know what you did. This is a criminal enterprise at its finest, because they’ve received programming approval to develop this garbage to the public. Great game with some flaws. This game is so awesome and so frustrating all at once. It’s readily apparent when you play that there are algorithms built in to make you keep losing or keep winning which is extremely annoying when you just want to play a game of golf and you get absolutely destroyed by a dude just because he has better clubs. The playing field is not level, people win because their clubs can drive farther which is garbage and not skill-based. Also, physics don’t make sense half the time. A 2 mph wind can sometimes act like a 9 mph wind for some reason. You can also putt a ball as hard as you want right next to the hole and it goes in every single time. Also, if there’s a GIANT green you should be able to use a wedge and not have to putt twice. You should also be paired up with players that are AT YOUR RANK +\- 15 instead of +/- 100 like I have seen. Another issue is that last week, I legit lost 400k gold for no reason. I think this may be a flaw with the new update but also the reason I will probably be deleting this game shortly. I like consistent, fair, and fun games that physically make sense to me. Also getting money taken from me like that is not ok. Developers should be looking into fixing that and compensating devoted golf clashers. Also I’ve lost a fair amount of money because of a “connection lost” error and it just assumes I forfeited. Crazy. GC is a really fun game, and I enjoy playing with people all over the world. Lately the game has been having technical problems that can be infuriating. For example, it is difficult to find an opponent. GC claims that problem is with FB, but I don’t log in through FB and still have problem. Even worse is the game “lose connection” in the middle of the game causing you to forfeit the match and the coins you spent to play that match. I have never “lost connection” with any other game played on my phone. This happens even I am using a super stable connect at my university. GC just released an update, and finding opponents is definitely faster. I haven’t had a match disconnect yet either, but I haven’t given it much of test so far. I hope they get this fixed. It’s my favorite game, but if the problems don’t get fixed soon, they lose a lot of players. One other aspect I wish they fix is the algorithm for matching opponents. Playing matches with players who are rated 3x my rating and have better clubs is not really fair. I just lose coins and can’t advance. They to limit the difference in rankings to a small range to make matches more competitive. Still my favorite, and I hope they fix the bugs soon. It’s addictive when it is working well! Go West Mid Ballers clan! Was once a fun and challenging arcade style game. Two dynamics I think exist which create a credibility situation. The bots in game are unnecessary. 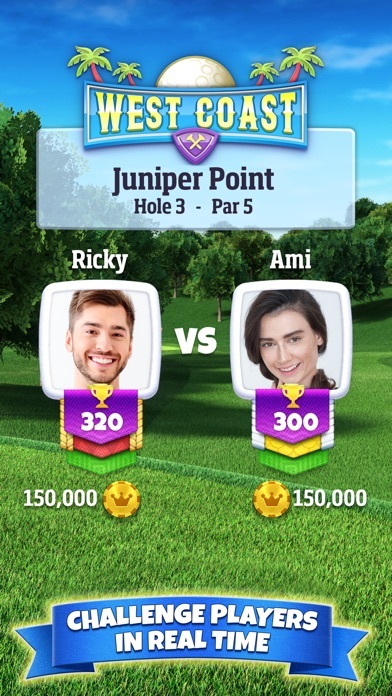 If Golf Clash actually has the members they claim, why have bots? The bots seem to be programmed to be antagonist. Always spamming during play. And, while they make make sloppy shots initially they always manage to sink the money ball from left field. The other topic centers on game play measured against the money spent to participate. I read about this topic when I first began playing Golf Clash. Being new to the game I was more interested in game play. Now however, I’m beginning to appreciate references to this issue early on. 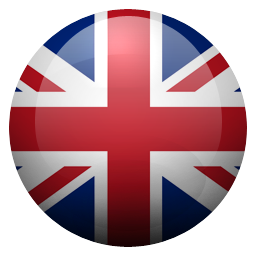 I have not spent any money with Playdemic even though I have spent considerable time on their server. Nothing against Playdemic. I just don’t give my credit card out on games/apps. This may turn out to be an issue for Playdemic. From my experience I think it is. It seems as though Playdemic employs scripts against players like me. Simple enough. As players on their servers, a certain amount of information is required just to play. Easy to load a script to that account which adversely effects your game play ergo causing stats to suffer along with the experience. I get it. I would rather Playdemic just program the the game to block the player along with a message stating “You have to pay to play.” Thanks to Playdemic for the time I once enjoyed playing the game. This game is generally speaking very great. When first stumbling on this game through a friend I quickly found myself playing all the time. It is fun to level up clubs and play all the different tours and courses. It can be frustrating when you lose multiple in a row or lose all your money and start from scratch but that is the users fault obviously (don’t bet money you’re not willing to lose) anyways, the reason I am giving it 4 stars and not 5 is because the bugs have been driving me crazy. I have lost games before due to glitches, connection errors stuff like that and I never expected the game to be perfect but at some point it should stop. A connection error that came out of no where when my WiFi was perfectly fine cost me a tournament. I was shooting and it said reconnecting right as I was about to release my shot I held my finger there with the hopes it would let me reconnect and shoot. It did not only not let me shoot but by the time my screen fixed the glitch the other person had already taken his next shot and I was about to run out of time again. Frustrating to say the least. I would love to see the glitches fixed so I could give it 5 stars and golf clash make it up to the users who’ve lost out on things due to glitches and bugs. I read in one review that support wrote in a reply to a player that said there is some luck and some skill. I would have to say that it is all luck. I'm well over 500 trophies and have made it well over 600. But what happens many times is you may win about 5 or 6 in a row, then you'll lose about 10-12 in a row. I have other friends who have played this and agree with me that it is rigged. If you are one to take games seriously, then this is not the game for you. This is one where you will pull your hair out in frustration when you thought you hit a perfect shot and it does go in. Would recommend WGT Golf instead. Much better golf game and more realistic. UPDATE: I have come back and really wish this had a zero star rating because that is what this game deserves. Definitely a rigged game. No question about that!! I have seen at least three or more shots that were fixed. It amazes me that when someone plays really good and for some reason can drop one hundred points in a couple of hours. RIGGED!!!!!! Several of my friends also have played this and all have said that it’s rigged. UPDATE AGAIN: Still a lousy, rip off game. Just went to play, tried to hit the ball and every time I did it would switch back to aerial view. I tried several times to hit the ball and it kept doing the same thing until I timed out. Rip-off!!! Don’t waste your time. This was the last straw. This was the last time I am playing. Warning to all: DON’T PLAY!!!!! I have been playing this game for a few years now. I thought it’s about time I wrote a review. You will read many reviews that describe unfair matchmaking, pay to win nonsense. These review are from obvious noobs that have not yet figured out how to play. Golf can be a very fun, addicting, challenging, and frustrating game. 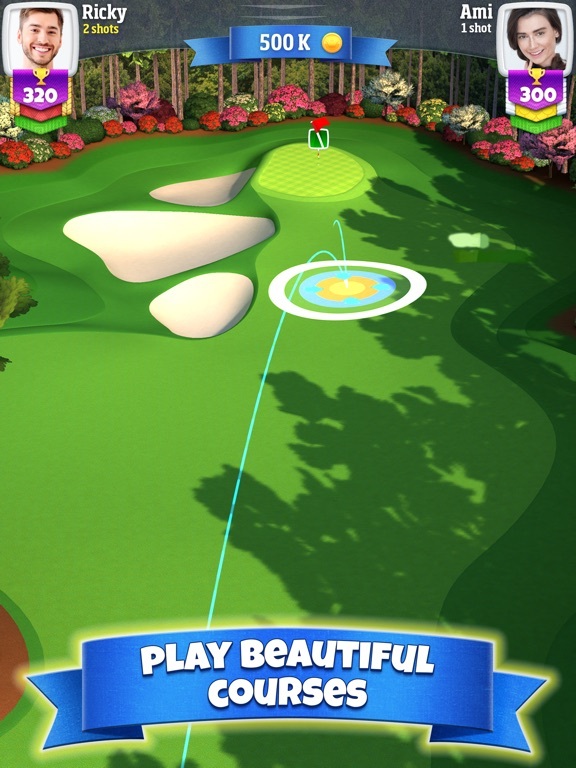 The developers of Golf Clash have done an excellent job of doing the same thing with this app. I am far from an expert on this game and yet I find a great deal of enjoyment from it nearly every day for 2+ years. No game has lasted that long on my phone before. The game starts out quite easy, you will win a high percentage of your matches, and start to collect better clubs and begin upgrading them. Be careful to not get too far ahead of yourself!!! Upgrading clubs can be expensive at first (before too long you won’t struggle to upgrade). This game is not rigged!!! Although there are times when you will feel like it is. You may even feel like it’s rigged several times per week! Just remember, golf is challenging and frustrating! Not everyone that steps out in the golf course is an expert after playing for a few months, but it can be rewarding when you start to learn and grow in the game. Clash On! Stay Clashy! 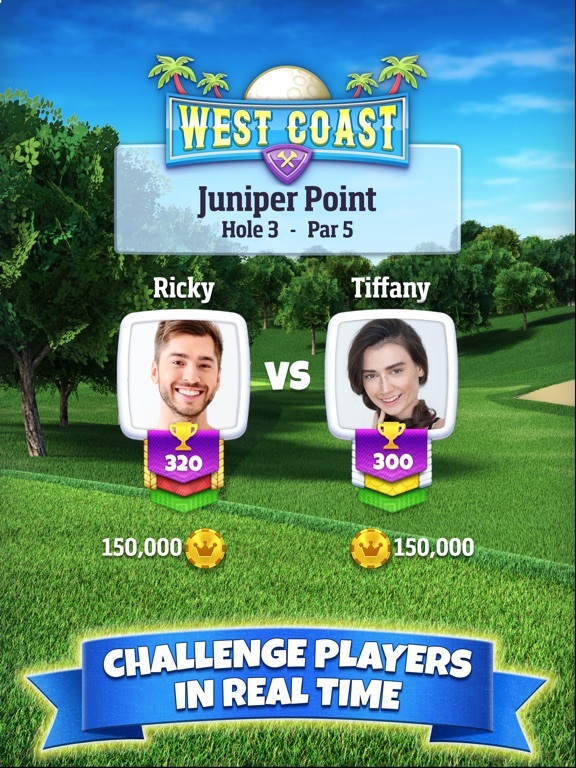 I am a gamer and like competition, so when I was introduced to Golf Clash I was thrilled with the idea of one on one play. If I like a game, I spend money on it. I read reviews claiming they cheat you, but wanted my own proof. Within the first three days, and 75 dollars later, golf clash showed their true colors . If you’ve had your doubts as to whether or not the game is rigged to take your money, Then take another players word for it. I took screen shots of match ups when I had 200 games played, and my opponents had 20,000 games played with all of the top clubs. Needless to say, they dissolved all of my 75 dollars right away without even trying to be fair about it. One of the competitors had more hole in ones than I had games played (YES! I said 20 thousand games!) Case and point. They are set up to take your money, not reward you, and leave you just out of reach of the next guy. I made it all the way to tour 10 with nothing better than an extra mile 5, buying everything they offered along the way. I would like to add that with every game won, I opened the chest immediately and played for another. So that puts me at 173 game chests opened, and the ones I bought as well. My first account had better clubs and I never spent a dime. Don’t waste your money unless you’re an extreme gambler. They won’t reward you much for spending more money. It is a very fun game and that’s where the 1 star comes in. Losing money unfairly outweighs the fun. I have played this game for a couple of months now and I have had to contact customer service several times ! That does nothing in regards to the game issue ! There are times where a player and I are using the same ball but yet that player call not only shoot the ball way further or the other player using the same ball can add backspin and I cant or can add topspin and I cant but we are using the same ball and this does not make since! The ball accuracy is way off and customer service want to say it is in app wind ! But yet you do a aerial shot and do a shot track before you take a shot to see where the ball should travel but yet the ball does not travel as you seen on the preshot settings! Once I reached a certain level in tour 6 I feel they just ripped me off because all I did was loose not matter what ! I know you wont always win but there is no way a person should go for 24 hours of non stop loosing each time they try and get on the game! I feel they have ripped me off! Think twice before getting this app because you are not going to enjoy the app in anyway ! And customer service does not do anything when you have a issue with the game besides put the blame on you ! I contacted Golf Clash support because of multiple issues that I had found with the game. I was instructed to tag the shots / games as “support” and they would review. Surprise ... Surprise, the communication stopped once I provided what they asked. No response from them in 6 days since providing the actual game replay showing the issues. All of these games showed examples of unfair gameplay such as my opponents ball sticking in a rock cliff, bouncing off of water or magically putting spin on a ball when the player never opened that screen to do it! None of these issues happened before I started dumping money into the game. Advice: Dont get me wrong, I loved playing the game but die to these issue don’t recommend it, do yourself a favor and don’t play but if you do don’t ever pay for anything in this game. If you do you will start loosing every shootout or shots that once would have been good will all of a sudden fly past the hole or end up super short. Once the game forces you to lose enough games it is impossible to ever advance because at an average win rate of 50-55% “average” you will never be able to advance and unlock the next level without paying for gems to get coins. Also once they know that you are a sucker and will pay money the issues will increase. It is completely rigged and has cost me real money and a ton of frustration. 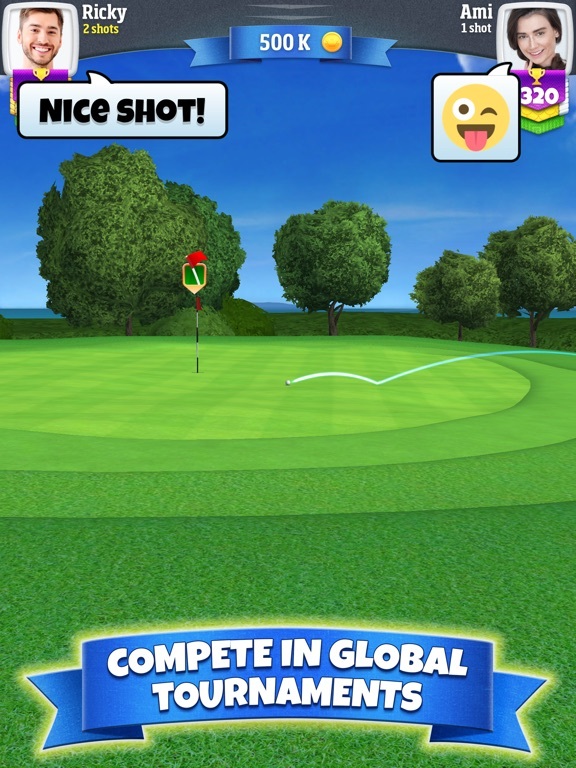 I welcome ANYONE from Golf Clash to review what I submitted and contact me! This game is pay to win and the physics are broken. There are definitely some things amiss with this game. The pay to win aspect of it is the worst of all. It doesn’t matter how skilled I am, I will get beat every time by someone who can make physically impossible shots because their Kingmaker ball can turn 90 degree corners and roll 50 yards further than anything I can hit. There is no point at all to the upgraded balls and clubs other than for them to make money. Nobody cares about that crap. The people who have them just know how necessary they are to being successful. It would be far better to just use the same clubs for everyone and let skill prevail. The other thing I hate about this game is the consistency of the physics. For example, I’m hitting my driver off the tee with a 6mph tail wind. My cross hair before the wind is just on the edge of the fairway I’m aiming for. With 6mph wind and a little extra power on my tee shot, there’s no way I don’t get beyond that crosshair and onto the fairway, right? Nope. I land extremely short with a perfect shot and roll down into the water. Makes no freaking sense at all. It seems like no matter how well I play my opponent is either absolute garbage or impossibly good. There’s no regular players like me with inconsistencies. This game is clearly a rigged cash grab. Not meant to be fun for players. It’s meant to keep you spending cash. I refuse to do that so I can’t compete. I’ll find a different game. Go to hell developers. New: try checking the profile for the players at the top of the global ranks. The game crashes. You can check profiles for other players to see their win % but you can't look at the top ranked players. Rigged game. Hopefully they are breaking some laws here because I'm going to report this... Just like every other game...you can only advance so far before the game turns on you. The matchmaking is broken, I'm literally in the second tier of ability ranks and I get matched up with players way more advanced than me. My clubs are level 2 and 3. Theirs are level 5-6. The chests don't even hold enough coins to play a round...the "visual" graphics are off from the "actual" graphics. 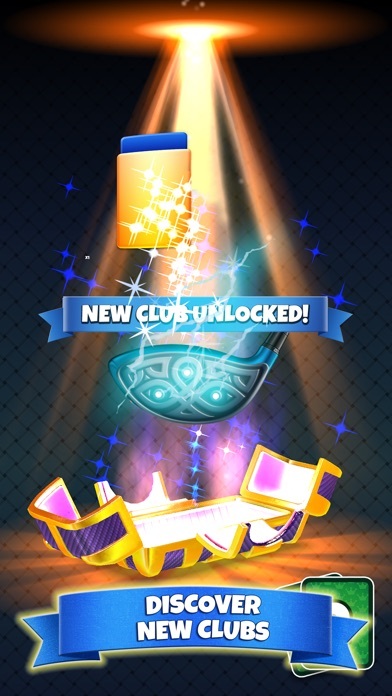 You can use gems to unlock new clubs but they charge you 10x the amount of gems if you haven't unlocked the club yet. So the higher tier clubs cost 500 gems if you haven't unlocked them yet but drops down to 50 after you've received the club. It's definitely a pay to win game...if you buy gems you can buy different balls which can be manipulated beyond forward and backspin. The best ball you can buy can turn the ball almost 90 degrees to the side. The game is fun...it is...but the fact that all of these bugs still exist after they've released new content begs to ask the question...why do they still charge players money for ANYTHING until the game functions 100%? I bet that "pay us money" button works 100% of the time doesn't it? Now the game server keeps acting up. It stole 300,000 coins from my account. Blamed it on the other player, but didn't refund my account. Still releasing the ball on its own. I notice it does it right after you use your gems to get coins! It's a scam! Tried it again! Why in the hell can't you fix the glitch that makes the ball release before you release it causing it to slice or hook.?! Usually this happens after you have won a few games, which leads me to believe that the game is so rigged it's unbelievable. You'll win five games and then you will lose 30 no matter how well you line the ball up and how perfectly you release it! There needs to be a place to report apps like this. They are a scam! Update! Deleted it! If you like games that crash and then take your winnings, then this is for you. I would give it no stars if that was an option! Thank you for adding those Spooky Halloween courses that are gray in color, so that people who are colorblind can no longer play! Ever since the last update, the game worked perfectly. Now it times out. It says client time out, even though my Internet connection is fine then it takes the coins out of my winnings. Also you can line the ball up perfectly and it will go completely off course as if you did a deliberate slice or hook. Definitely a glitch in the new update. Debating on not playing until it is fixed. It's very frustrating! In game purchases too expensive to compete @ high levels!!! The game is great and a lot of fun in the beginning. However, to compete on a heigher level one needs to get every edge they can which is only available if you spend a lot of money. Earning $3 worth of gem stones, without spending money would take someone at least 3-5 months...so technically you could get a set of great balls for free after 3-5 months of playing and loosing vs players not as good as you. Not to mention upgrading clubs etc...to achieve one great club to the fullest potential costs at least $60 and that is not considering the money you would spend on lower clubs on you way up which would cost at lest another $60. That’s just ONE CLUB. Still can’t compete....I play WGT Golf which is the most realistic game ever made and people try out clubs on the game before they buy them in real life and they play real life golf courses with graphics so good that I have been asked before who was playing before the person realized it was a game... and THEIR CLUBS DONT COST 20% Compared to this animated game. Overall 4 stars since the game is free and one can play with a lot of fun for a month or two without spending more than 20-30$ and still compete in your class...after that it becomes pointless. Tho game is solid, easy to learn, hard to master. Leveling up clubs and earning coins keeps you coming back. It’s satisfying. With that out of the way, let me address the reason I quit this game for months. If you go on a losing streak, it is almost impossible to get back up to your level that you were playing at. You get absolutely no coins out of chests and you have to play many tours below your real tour just to get you coin count up. And if you lose, you usually have to go another tour down. It’s an endless cycle that takes MONTHS to get out of. Coins cost a lot of gems (unless you do the 3 stake special which is a lifesaver.) and are hard to get at lower tours. Also when you get to higher tours, everyone will have really good equipment and balls. If you don’t want to spend money, you will always have the disadvantage. Speaking of spending money, this gave is the definition of pay to win. It’s almost impossible to compete at the highest tours without spending a decent buck on the deals that they give you giving you balls and coins. If you don’t want to spend any money like me, good luck. This major flaw almost ruins the game if you go on a losing streak. Other than that, gameplay and mechanics are solid. Just hope you have a big wallet or don’t run out of coins. Update - more $$ from me. I succumbed to the temptation and spent a decent amount of money on this game and was enjoying it. Maybe wining more than I was losing. But boom like a switch I lost over 1.7m coins I’m a matter of days. Right now I win one and lose 6 or 7 in a row. No way to stay at a level - I didn’t ask to be “promoted”. I also don’t get how I can do nothing right but my opponents do nothing wrong. This game gives me anxiety. Even if I win about half the time I could enjoy it but tonight I won one and lost 6 in a row and every opponent was like Gary Player and Tiger Woods combined. Hope you enjoyed my money. Lesson learned. I would give negative stars if Apple let you because playing this game makes me miserable. At first it’s a very enjoyable game. I do agree with other reviews about the lack of penalty for out of bounds and the slightly unrealistic ball action. None of those would truly bother me if there was a way to practice, especially on new courses. I just started playing 6 star hotel and after a single victory I’ve lost every match since - which, since you pay so much to play that course, it’s impossible to get enough coins from bonuses or the lower courses to catch up what I lost. At least give and option to play each course as a practice round as many times as you want. Losing all the coins it took you weeks to save up in 2-3 matches really takes the fun away from this game. I thoroughly enjoyed playing this game and leveling up clubs and unlocking new tours, until it got to a point where the game lost its luster. While playing higher tours I noticed the wind in the game was almost never consistent. By this I mean the same wind for the same shot was never the same, even on perfect shots. 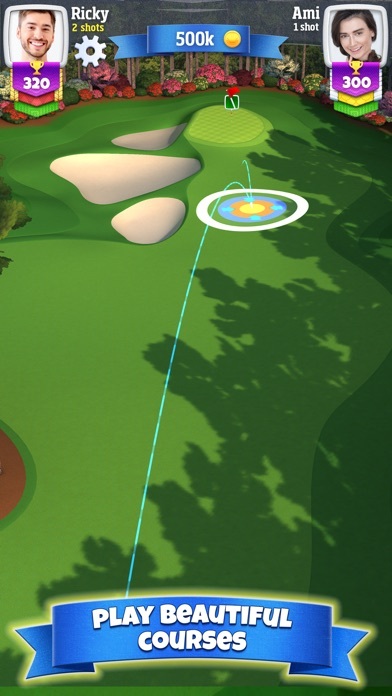 I just recently uninstalled this game because of what happened on a perfect shot to get in the hole, only to watch it roll right past after seeing “perfect shot” appear on my shot. Another thing that I found frustrating about the game was the chests you open. Almost every chest I received gave me the same cards. I had multiple clubs that I did not want to upgrade that had 100s of cards waiting to be used on them. For my third dislike of the game, there is no way of practicing which would be extremely useful before you go play a tour that could potentially wipe you of your cash, causing you to either wait for a new chest, or pay with gems, or pay with actual money. These are the main reasons I uninstalled this game as it got to a point where it hit a wall and stayed there. And before you think “oh they just didn’t play enough” I was sitting comfortably in the mid 300s in trophies which is ample time to make a judgment call on a game like this. So the reviews are so high for this game because they give you a bonus to write a review, and most of the the reviews before a player learns how awful this game is. Forget game play, yes it's easy to learn, and putting is way too easy. The real issue with this game is far more sinister. You get matched up to play other players in one hole shot outs. Simple enough. However the simulator decides who you should play an. Your clubs also have an accuracy level which ebb and flow according to the simulator. This means if the game thinks you need to loose they can influence the game by pairing you against someone who is destined to win because of their accuracy, or pair you against a player with clubs you can't beat etc. and if the game decides based on your game play and how often you play that you are a sucker who has a high chance to purchase advantages well then you are screwed. You will just get hosed shot after shot and lose match after match in new and mysterious ways. If you contact the support staff they are always helpful and respond. But if you identify to them how the simulator influences the outcome to try and frustrate you to the point of buying something, they will remain silent. This game is a sucker bet for suckers who are willing to pay money to be king of an imaginary world. Good luck if you play, at first you will like this game, then you grow to abhor it and never play again. I’ve been playing this game for a while now. I put it down for a bit and recently picked it back up and was disappointed to find that not really all that much has changed besides the seasonally themed tournaments and balls that are available as rewards. I still love this game probably more than any other on my phone right now but I want more. More courses. MORE CLUBS with interesting stats or abilities. I’m tired of playing with the same old clubs I had months ago. I think it would be cool to add a whole new tier of clubs above the top tier of clubs available at present. Maybe they could have a single ability or something that makes them unique from the other clubs in the game. They could be rare, maybe earned from difficult achievements, tournament wins, etc. I think you could retain even more players by adding this small level of depth that keeps players grinding for these unique items. It’s something that I feel is missing from this game. Something to grind for above the normal clubs. It would go along with the arcade-y, quirky, fun style of golf clash and add more depth to the game. Other than that, keep doing what you’re doing! I love this game! Started great, now I’m MAD! First thing, this game is really fun, addictive and competitive! I love the premise of the game, its nice to finally have a golf game that’s free! I really wish there was a way to practice for free, and buying golf balls were cheaper! The amount that you get from winning isn’t enough to buy enough to compete with some of these people on here! It’s ridiculous, and very discouraging!!! I’ve been playing it now for several months, and now 4 times now I am playing fine and it mysteriously loses signal! !🤬 such BS cause I’m on 5G WiFi! So then either I timed out or my shot is screwed!! Then just recently I paid 4.99 for a “special package”, then again 4.99 again for a “special package”, TWICE I HAD TO PAY BECAUSE THE FIRST ONE MADE THE APP CRASH AND I DIDNT GET IT!!! 🤬🤬 So then just now today (February 9th), I paid 3TIMES for the .99 cent, single shot for a trunk. IT TIMED ME OUT TWICE IN 10 SECONDS!!!! Then on the 3rd one, the ball just stops mid roll and I lose! !🤬🤦🏼‍♂️ so now I have just wasted $13 for NOTHING!!!! I’m So close to deleting this app and just finding a new one or buying a PS3 game! So either the Developers need to refund something or give me what I’m owed! UPDATE!! Just As predicted!! I had finally won a couple in a row and built up some coin... welp now i lost 4 in a row and suddenly I cannot seem to hit the ball straight!!! What a BS rip off!! I want either a refund of my money spent or I want the stuff I paid for!! It’s an ok golf game, and has potential to be a lot better, there’s just some in game issues and such that I feel could be corrected. 1. Proper rules. No stroke penalty for water hazards??? I myself and others I’ve played against have been unfortunate to hit in the water but don’t receive the stroke penalty that is a basic rule of golf. 2. Being able to choose what club I want. You’re basically stuck with whatever club the game decides you need. Want to power out of the rough with a wood or other club and try to get more power or distance? Too bad. You’re stuck with your crappy “rough wedge”. Players should be able to pick whatever club they want to use, and take the risks of the shot from there. 3. Speaking of clubs... this is where the pay to win feature comes in. If you want to pay outrageous amounts you can buy better clubs for better “skills”, but if you want to be a casual player and earn cards, good luck and be ready for a grind, while you’re waiting for cards to upgrade, pay to play-ers are going to beat you with their bought skills. Making your card grind longer. Either need to be able to open more than one cheat at a time, or have more clubs per chest. Number 3 isn’t that big a deal, but fixing to follow actual rules of golf, and allowing club selection would be huge factors for me to raise rating. Alright so I am beginning to believe that the tournaments are rigged in some form. The reason I am saying this is because of my position I was given in both tournaments. I have been pushed out of the top 50 once from rank 18 by players with the exact same final score of -16, I played the first tournament early with many hours left and all the players after who scored the same landed higher than me and pushed me out of the cut. Next time I tried what other players did by waiting three hours until the qualifying round was over. I played my holes and finished with a -16 again yet I was still placed at 49 and got pushed out by 3 more players finishing with the same score. Even though about 20 players all had the same score I did not advance. This is frustrating to me and I think it’s unfair that all players who tie do not advance or have a tie breaker event. When players with the same final score can push another player out then something needs to change how tournaments work. Why is it setup like this? Do players that spend money get perks for placement? Does win ratio have something to do with it? Please explain why ranking happens like it does during a tournament. This is a major flaw and in my opinion will drive away players who this happens to. The game is fun but tournaments are crap and the system needs to be revamped. It’s inconsistent, and the prices are ridiculous. Overall, this game is more addicting than crack cocaine. The developers have done a pretty good job of creating an enticing game with a very large user base. However, there are plenty of issues. Their updates always have bugs, and they don’t fix them right away. In order to remain competitive in the clan leagues, you pretty much have to play the higher tours always, which requires using the money balls. The price for the money balls is insane. You can really drop a small fortune into keeping up with this game. The game also has glitches. Playing the wind is inconsistent. If the game wants you to lose, you will lose. If the game wants you to win, you will win. There is also frequent lag in the game. There is no fixing this. You just have to try to adjust and hope for the best outcome. Their support team is complete nonsense. They offer no fair resolution to your issues that you have, and they literally blame everything on your connection. I can assure you with 1GB/Sec fiber internet, the issue is NEVER my connection. They will also ban you from the game for life, no matter how much money you have spent. So, in conclusion. Okay game, terrible app support. I’m still gonna play it though, cause you know.... crack cocaine. Horrible game - pass on this one!! Third review This game is corrupt. 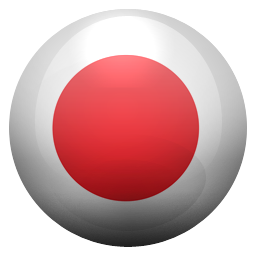 It is geared towards making the only way to advance in the game as spending your money! You can have better clubs (if you spend $5 on an upgrade pack), you can have enough coins to play in tournaments with great prizes (if you spend $10 on coin packs), you can play prize pack holes (if you spend money on chances), and so on and so on........ In fact, to make matters worse, if you do happen to make enough coins to compete in regular game play, you suddenly start loosing coins in ridiculous fashions such as landing far off path with your "perfect" shot, loosing rounds in mysterious ways, etc., etc., etc. If there were a way to give negative stars on the review, I would give it a -10. Update: Gave this game enough chances, deleting it now. It’s addicting - I’ll give it that. The fact that as soon as I get a decent amount of in-game cash, however, I go on these hellacious loosing streaks from being placed against players that far outclass me, glitches in game play that didn’t affect me before, sudden extreme wind that’s near impossible to compensate for, or just plain rigged shots (seemingly) where strategies and “perfect shots” that worked fine before fall apart. This has happened not once, but literally every time I go over, say, 100,000 coins. Deleting with pleasure - I wouldn’t recommend this game to anyone. UPDATED REVIEW: My initial review is below but I’m updating it and knocking it down to2 stars from 5. I am so tired of this app crashing EVERY time I open it. I have updated it and restarted my device but no go. I also am tired of not being able to play the free Golden Shot when it comes available. I have contacted them but they act like it is just me and my connection, which it is NOT. Please fix this app!!! I have been playing this for a while now and I really enjoy it. I am not a golfer in real life so I don’t even try to compare it to that. No one should. It is a simulation, and a beautiful one at that - great graphics. For those reviews that say it is rigged, I beg to differ. Some games go well and others not so much but the fault is with my lack of focus or the other players great ability. My advice, start and stay on the easier courses until you’ve really mastered them. When you move up, watch the other player and rather than pouting from loosing, learn from them. I usually don’t spend real money on iOS games but when a “New Years” ad came up and I was able to get 200,000 coins for $9.99, it made it much more enjoyable. I don’t have to worry about the coins so much any more and can get better clubs and balls. I don’t worry about my status/ranking. I just enjoy the game. The game play is extremely inconsistent. 0.5mph wind will have more affect on a shot that 10mph winds. Hitting perfect will not guarantee a good shot, ball guide is very inaccurate. I doubt the staff has ever been outside let alone play golf. There is an 80% chance of your opponent getting the ball in from the sand at 200yds. No penalty shots for out of bounds. Constantly playing opponents of an extremely higher level, to the point they can drive to the green on a par 4 or 5 when I can’t come close. I’ve reached out to the help desk and they just give the run around and blame the player. I’ve seen opponents golf ball go into a tree just to curve around to the front and keep rolling. The ball can also ricochet off the edge of the rough like a bullet. The list goes on. These people should be sued and reimburse everyone that’s paid to play. Also the ratings on this are rigged. I went through and saw more 1star ratings than any other. The game is rigged and you have to pay to play to get ahead. No skill at all, developers just bs you when you present them with a problem. It lets you win in the beginning and after you get to a certain point you can’t win at all unless you spend serious amounts of money. PLEASE DO NOT WASTE YOUR TIME!! PLEASE GO REPORT THEM ON RIP-OFF REPORT!!! They deserve to be sued and pay everyone back. This type of business should be illegal. Like my title says, the game is definitely rigged. I did some research online to confirm my suspicions. Definitely look at your opponents stats every time you play someone. You will almost always see your opponent around the 50% win rate, give or take a few percentage. You will never play someone who has a win % of above 60%. Isn't it a little odd that no one is that good? That literally everyone you play is right around 50%. Other thing I was told to watch: I have used the exact same level club, in the same wind, that my opponent used, lined up just as they did, hit PERFECT SHOT on the bullseye just like they did...my opponent landed near the hole, my ball went sailing passed and in to the rough. I've seen this on several occasions. Now I don't understand algorithms and all that, but if everyone was winning all the time and lost infrequently, what would be the reason to spend money on the game. Then you could keep playing for free. You can't honestly believe the Devs want that. I urge everyone to do your research. Google issues or problems with the game. You'll see the forums and the remarks. Then you'll start seeing what they are talking about in the game. Good luck. Save your money for something else. It's an addicting game I get it. You'll want to keep playing(I spent money to keep playing). Spend your hard earned money more wisely. I've had lots of fun with this one. And feel you can utilize much of what it has to offer without too many in game purchases. The game rewards you for being good at it. So if you keep winning at about a 60% clip, you can stay flush with cash and afford the tournaments and upgrades. Edit: So I wrote this while I was still a rookie. Having progressed in the game a bit now, it is rather difficult to win at that 60% clip. The gathering of trophies matches you up with similarly accomplished players, such that every match comes down to a shoot out, with the winner basically getting lucky (1.5 beats 1.7 yards from the hole). And that 50/50 nature means you bleed cash because each successive tour is more expensive. The key is to play a tour lower than what you can afford. Then jump up when you can absorb a few losses. Either way the game mechanic is quite fun, just wish the approach/putting wasn’t so easy. It minimizes consequence for errant shots and funnels everything into a closest to the pin shoot out. So the game is set up rather well for taking your money. The key (with all such games) is to not care about leveling your clubs or player so much and just enjoy some casual play. you can tell when the game has already been decided. It never fails suddenly the exact same shot, same club, etc... becomes a super club and gets way over powered or you set the ball to hit in a certain place and it does but hops way further than it was supposed to according to the guide line. Then if you watch the stupid ads for extra coins it's a very low sum and then it don't alway credit you for watching the ad. This game would have great potential if it wasn't rigged. Update/edit : stay away from this game! Every thing is F’d up from the ranking match to the way you hit the ball. This time I decided to screen shot the games so I could just make sure. Literally you can just about guess when you are going to loose. The game will match you with players up to a hundred levels above you, then you can have the exact same ball, same level of club on the exact same club. The ball hit hit exactly for them and not you. The wind variation is completely ridiculous. It always changes to favor the higher ranked player. The only time you do win is when you are the higher ranked player. You might win 2 or 3 games then loose the next 5. It absolutely has nothing to do with skill or luck. It’s more like if the game decided if your lucky enough to win. Bottom line I’m deleting the game and getting a different golf game. Like the game, but it is pay to win. I have played this game extensively(4000+ games). It is fun and maddening just like real golf, but it is definitely pay to win (especially on tour 7 an above where the wind is much stronger). If you are using a standard ball and you opponent is using any special ball, you are likely going to lose unless you are far superior to them, or they just get an unlucky shot. If they are using the most over powered kingmaker ball you are dead. Its is frustrating to have to buy the good balls if I want to compete. When I purchased the christmas balls, I easily grew my coins to 24 million. Since running out of them I am back down to around 17 million. Of course some of that loss was from the last update screw up, but I doubt I will see any recompense on my lost coins for that other than the free balls they gave which I can use to win some of them back. Anyway, quality wise the game is awesome, the graphics are smooth, the clubs are fun to upgrade... all in all it is a great game. I just wish that if you played a lot, it wouldn’t come down to whether you want to spend money on balls (which are ridiculously expensive) to be able to compete. It’s so obviously rigged. I have deleted and started from scratch several times to prove my theory. 1. You start out playing bots, and you win every time. This is to lure you into thinking you are actually achieving something. 2. The “leagues” are a farce. Ranked as a beginner, you can not join clans. However, if you start winning a lot, suddenly you start playing players with numerous clan medals. How is that fair? 3. They should match players based on equipment as well as number of trophies. 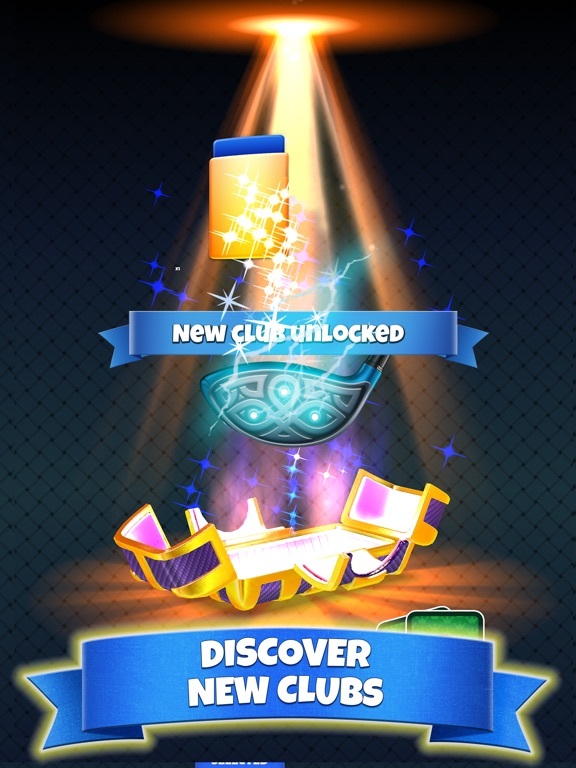 If I win a lot as a beginner I suddenly start getting matched with players who have maxed out special epic clubs and balls that cost $100. Obviously, with my beginner club and basic ball I am unable to compete. This is an obvious attempt to get you to pay money to play on. 4. Unless you pay for advanced equipment You will reach a point where the game will no longer allow you to win. You will no longer be able to release at just the right time, frustrating you. Meanwhile your opponent is shooting with pinpoint accuracy. Not sure, but I suspect most of them are bots as well. Another attempt to persuade you to spend money for upgrades. This is an AWSOME game!! I love this game! It is simple and easy to play!! It is challenging at times but that is good and it makes it fun. You can earn chests, from silver to gold, You can log in with Facebook, which is AWESOME!! Then you don’t have to make an account you just sign in with Facebook. Everything is easy to learn. It only took me one try and I figured everything out. That’s how simple it is. There is a tutorial to help you too. You can play with friends when you log in with Facebook. I think everyone should play Golf Clash. IT IS AMAZING!! You can also just go as a guest which is awesome too. 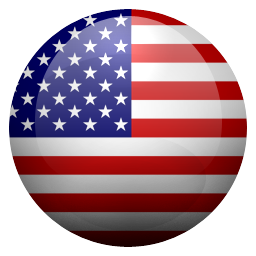 Share this game with your friends. To The Developers: The game is Amazing and I have had no problems. But I do have some some suggestions for you to add to the game. 1. I think you should make it to where you can use your email or phone number to make an account 2. I think that you should be able to make buddy’s and buddy them on Golf Clash 3. I think you should be able to chat with your buddy’s through messaging. And those are all of my suggestions. So please make an update and those suggestions. Thanks. A fun and casual way to spend time without needing to do too much. The game is fun and just like golf it's a bit frustrating. The winds can be difficult to understand but just like real golf the conditions constantly change. Club upgrades come not often enough especially for the epic type clubs. I would suggest that a better value for your money would be to make some of the pay part of the app worth more or charge a lower price for the amount of what you get. If you are of the mindset to spend your dollars on this game look for the best values and they are not always the cheapest offers. Improvements I would like to see are offering clans the opportunity to create a tournament within their clan. The opportunity to play 9 or 18 against a friend or clan mate would be cool including the par 3 holes which are only seen during shoot outs and tournaments. The basic clubs are relatively worthless I would suggest eliminating them and allow everyone to start with level one common clubs. Additionally players should have the option to relock clubs which they never use once they open better clubs. Only been playing for around a month ish and so far I love it. Not sure on most reviews I've skimmed through saying it's rigged and cheats.. maybe perhaps possibly, it's YOU. Sometimes after I haven't played in several hours or after sleep it takes a few games to get back into the swing of it. I'm not the best player obviously but I'm not the worst. Only at 350something trophies so far no rush in rising up in the ranks yet cause it does get harder as you progress I know. Highest win streak was 9 earlier today trying to get that 10/10 for the achievement lol anyways, 4 stars would be 5 if there was some type of group play like a clan or something. That would be fun and interesting. As I'm writing this I have realized in most cases the wind gauge is confusing.. I understand what it means and all but when I compensate for it and hit the ball perfect it'll shoot my ball in the compensated area lol like there was no wind and vise versa when I don't compensate, the wind will carry it away in that direction. That I find odd.. side note, I know the ball you use has resistance but using the default ball so there is none. Final note, great game and will continue to play (: thanks. Great game but ban the hackers please. All these reviews complaining the game is rigged. I disagree. Most these complaints to me sound like user error or poor choices. But one complaint I have is the hacks people use takes the fun away for me. It’s funny cause I noticed when playing, some people would always have perfect overpowered shots/rough shots. Don’t get me wrong I get them from time to time as well. But if I overpower every shot, it’s very unlikely for them all to be perfect. Now I’m not talking about chipping or close shots. The competition at the level I was playing, everyone makes it at close range including myself. If you time it wrong you lose. Im talking about longer ranges, max power hits. These are just the unsubtle cheaters using the hack I’m referring to. As I was researching things, I found the hack. Not gonna post the website here, but it gives you perfect shots every time. Apparently it used to work for wind as well. Don’t take my word for it. You can you tube videos if you’d like proof. I don’t wanna cheat to compete. Takes the fun out of it for me so I’ve just stopped playing. Hope this is something they can ban. I would probably still play, if I could at least invite friends that don’t have Facebook. This game is for sure rigged, unless you spend money. I have a friend who spends money on the game and we each played 5 games on each others phones and it was completely rigged. We each used the starter clubs so that it would be the same. Like heck it was. I won all 5 on his phone and he lost all 5 on mine. I mostly had ok shots with off aim but the ball always went right to the hole, meanwhile my opponents were just smacking the ball into the rough using a regular ball. He on the other hand ALWAYS had perfect shots with aim directly to the hole and playing the wind. His opponent had the best ball in the game every time and had stacked clubs. He would hit the ball dead perfect and it would go nowhere or would fly way off in the rough. A putt with the ball sitting on the edge of the hole bounced out like a missile and went off the green! He hardly even hit it. Then with the same clubs with the same phone we switched back and it was like his phone had an advantage over mine, and it did. I looked it up right away and I learned that most of the profile pictures are pulled of google images, you don’t play people, you play Al’s. To conclude, this game is totally rigged to those who spend once you get past the beginning. FYI: all of the good ratings are probably by people in the beginning of the game because it gives you a prize. This game is fun, addictive, and challenging. Don’t look into all these sore losers reviewing that the game is rigged. Been playing for almost a year and have loved it. Yes, there are times you will play someone much better than you. Even higher level players lose all their money sometimes and end up playing in low end levels. It doesn’t mean the game is rigged. And it doesn’t happen all the time. There’s actually a lot of factors that go into every shot. Not only your shot meter but also wind, elevation, ball flight, and the angle of the surface it lands on. There’s probably more. This game has glitched on me before as I’m sure it has with everyone. But with literally over 6000 games played, I can assure you it’s not very common and typically happens when you don’t have good connection. Just keep plugging away and you can level up without spending money. If you do want to spend, I would recommend waiting until theres a tournament. That’s when you’ll get he most bang for your buck. All in all, it’s a very fun game and actually balances out pretty well with difficulty.